"My Dream" is a trans-Pacific sailboat voyage by Dan KI7UBD, using an Ultimate3S kit for tracking with assistance from Bob ZL1RS. You can read the full story below the live tracking map. 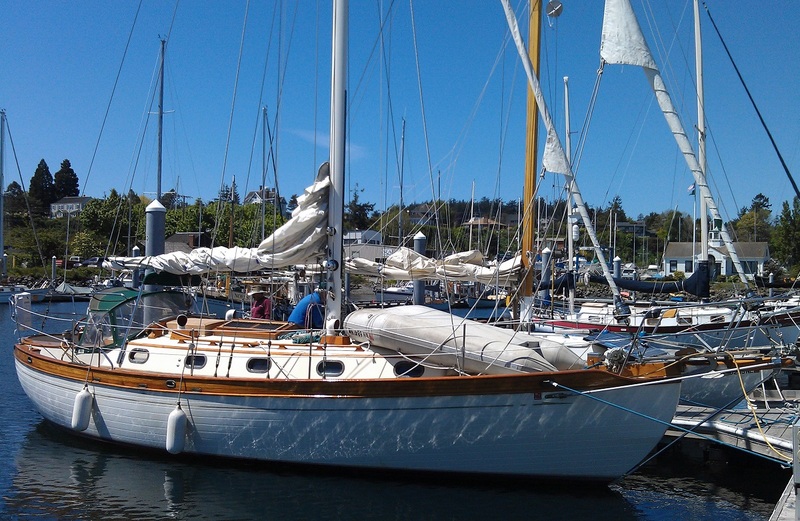 "My Dream" is a 1981 Baba 35 (http://bluewaterboats.org/baba-35/) built in Taiwan, she is cutter rigged (https://www.sailboat-cruising.com/cutter-rig-sailboat.html). I purchased her in Washington State in 2012 and spent the following years refitting, upgrading and maintaining her systems. All of the work was with the intention to take her to sea. New Zealand became the focus of my dream. I sailing out of Everett, WA in September of 2016 with two crew and arrived San Diego in October of that year. I spent a month continuing to work on the boat and took a break in November to fly home for the holidays. In January of 2017, I flew back to San Diego to complete projects prior to jumping off with the 2017 Pacific Puddle Jump, sponsored by Latitude 38 magazine (http://www.pacificpuddlejump.com/). Though I tried, I was unable to find crew and determined to go solo, thus I slipped the lines and headed southwest to the Marquesas at the end of March. 31 days later, I made landfall and threw the anchor down in a bay on Hiva Oa (https://en.wikipedia.org/wiki/Hiva_Oa), close to Atuana. I was exhausted and ready to head home. My wife and others encouraged me to keep going, not to give it up too early. Interestingly, some of those other encouragers gave up and went home. I continued on through the south Pacific, stopping in Tahiti, Moorea, Hua Hine and Bora Bora. Leaving French Polynesia, I headed first to Palmerston Island (https://en.wikipedia.org/wiki/Palmerston_Island), then Niue (https://en.wikipedia.org/wiki/Niue), then the Vava'u group of Tonga (https://en.wikipedia.org/wiki/Vava'u). Here I was fortunate to find crew to join me for the final leg of my voyage from Tonga to New Zealand. 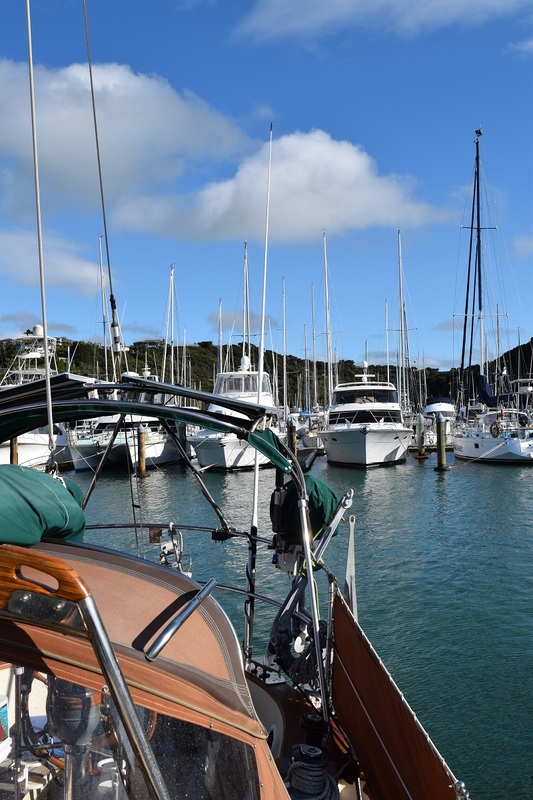 We sailed into Auckland and I berthed the boat at Westhaven Marina (http://www.westhaven.co.nz/westhaven/about/). She is still there (April 2018), and I have provisioned her to sail home, through Tahiti, Hawaii, then the Pacific Northwest (Seattle). Happily, I have crew (a Canadian) who is keen on crewing with me for the entire voyage, departing in May. In March 2018 Horace N7DRW attended a talk by Joe Taylor K1JT about the various digital modes available in WSJT-X. 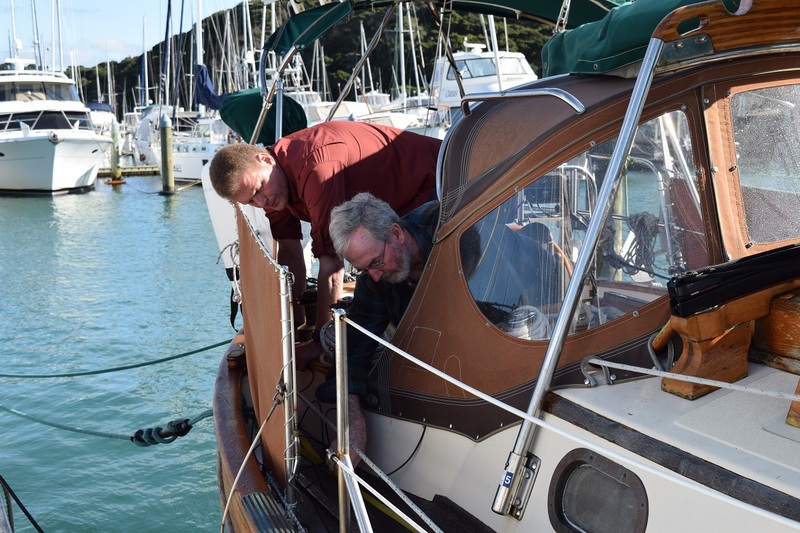 Horace thought that WSPR might be useful to track Dan's yacht on the voyage from New Zealand back to Seattle, Washington, so he contacted Bob ZL1RS to see if this could be arranged at the NZ end. 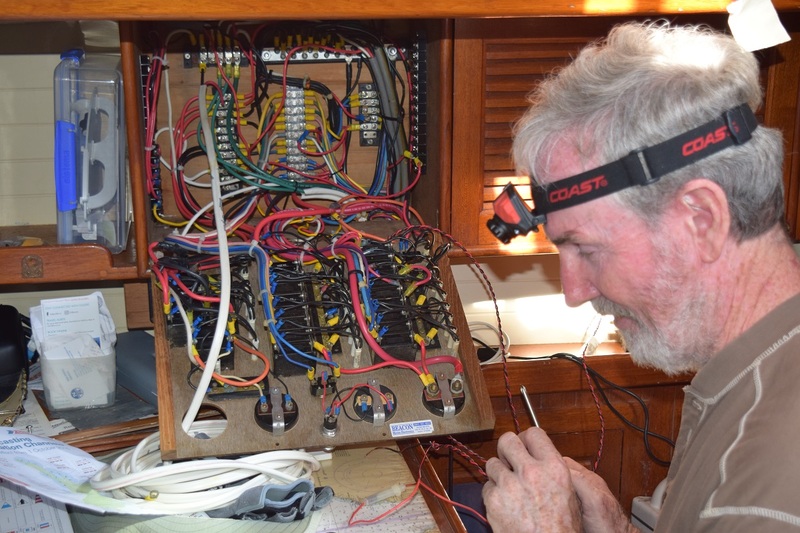 The short story is that Dan will have a QRP-Labs U3S and 30m band marine antenna installed on his yacht in early May 2018, and QRP-Labs will support this tracking page in a similar manner to the "Fleet II" and "C3" voyages. The U3S has some small modifications to enhance performance. 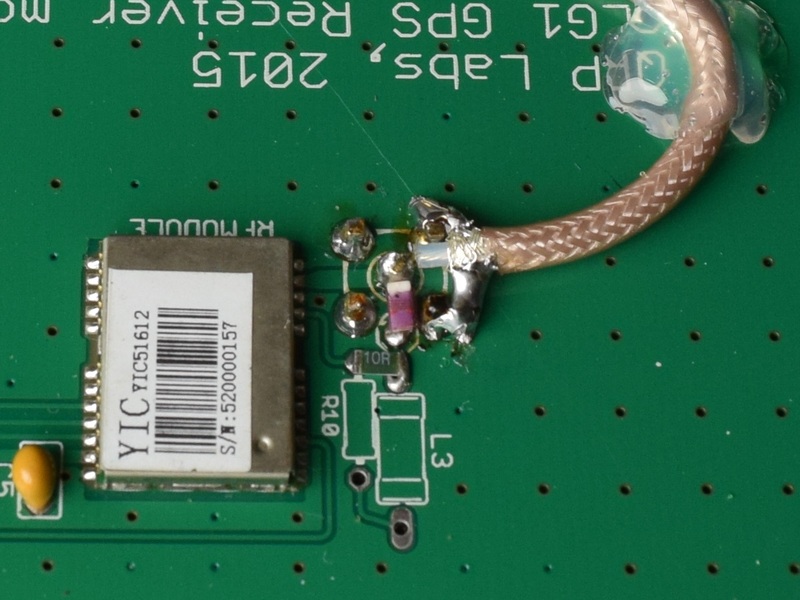 The 27 MHz reference crystal has been replaced with a SMD TCXO device to help the frequency stability, and the BS-170 PA FET has been replaced by a Mitsubishi RD16HHF1 FET to allow better heat sinking. 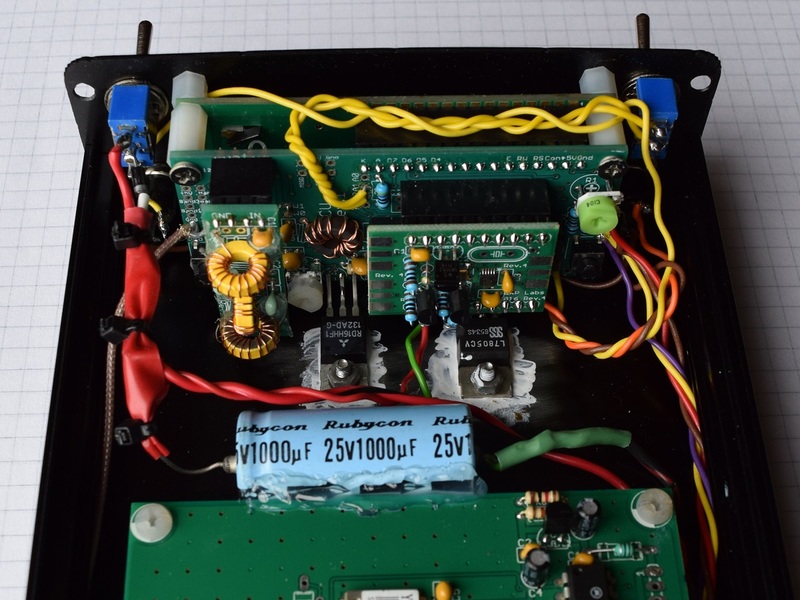 Better heat sinking is necessary because the PA stage has been wired to the 12V supply line to produce 2 Watts of RF power output (33 dBm) rather than the basic 200mW (23 dBm). 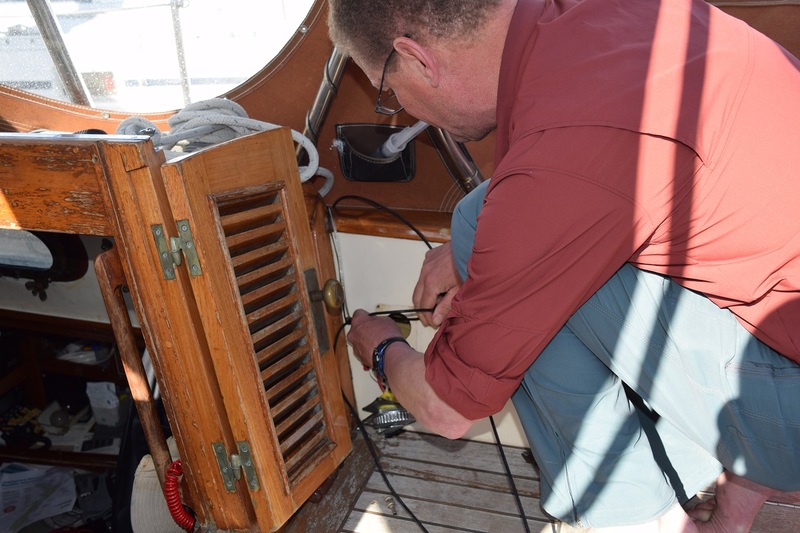 The transmitter will be feeding a self-resonant center loaded whip antenna made on a 12 foot long fishing pole which is mounted on the stern rail of Dan's yacht. 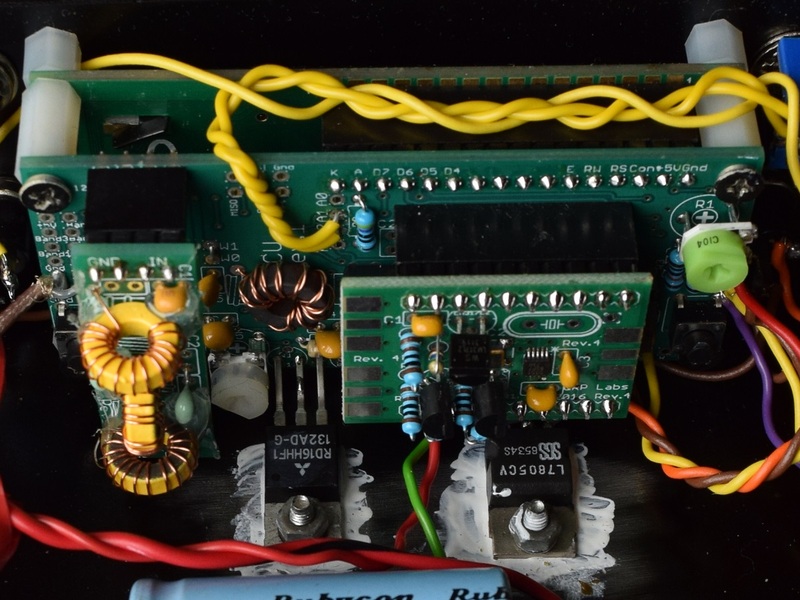 Because the antenna is only resonant on one frequency, the 30m band was selected as being the 'best compromise' in the current propagation conditions. 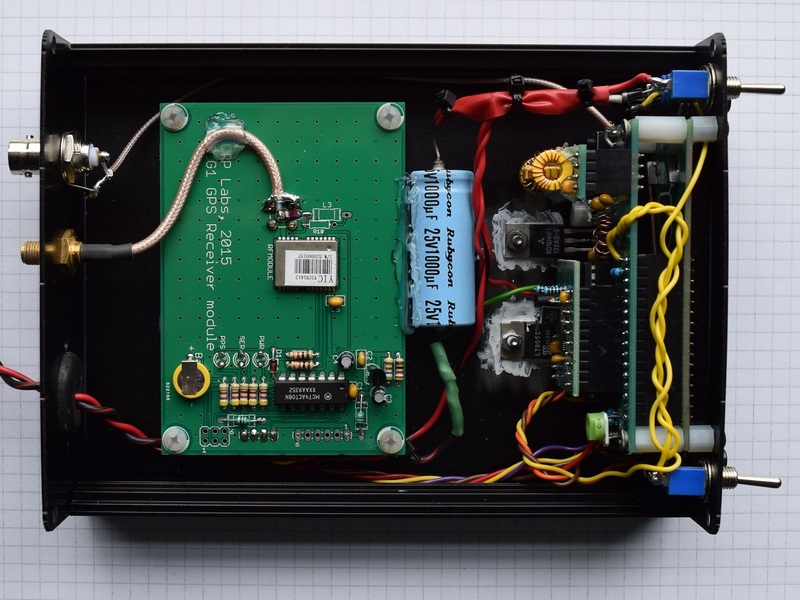 The U3S is mounted inside a QRP-Labs case which has enough room to also mount the QRP-Labs QLG1 GPS unit. Because the U3S case is metal, the QLG1 has had its on-board 'patch' antenna removed, and the extra components and a SMA socket fitted to work with an external GPS antenna. 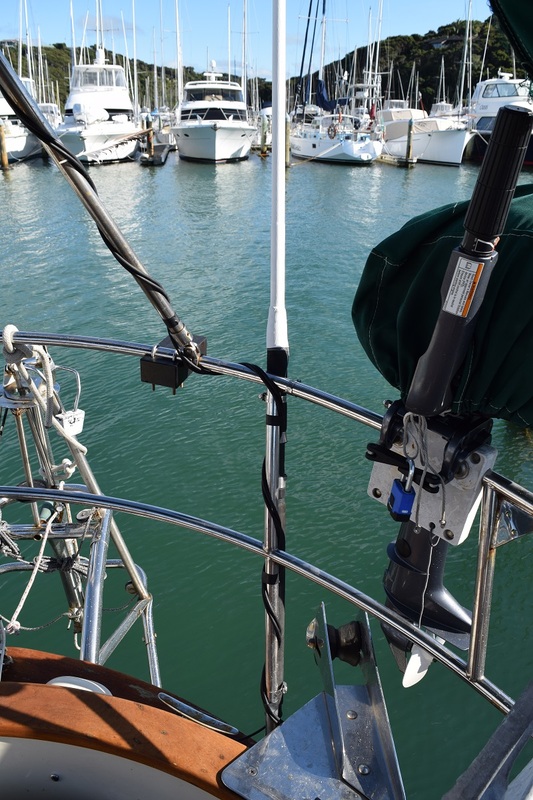 The external GPS antenna mounted on the deck or cabin top will ensure solid position fixes. 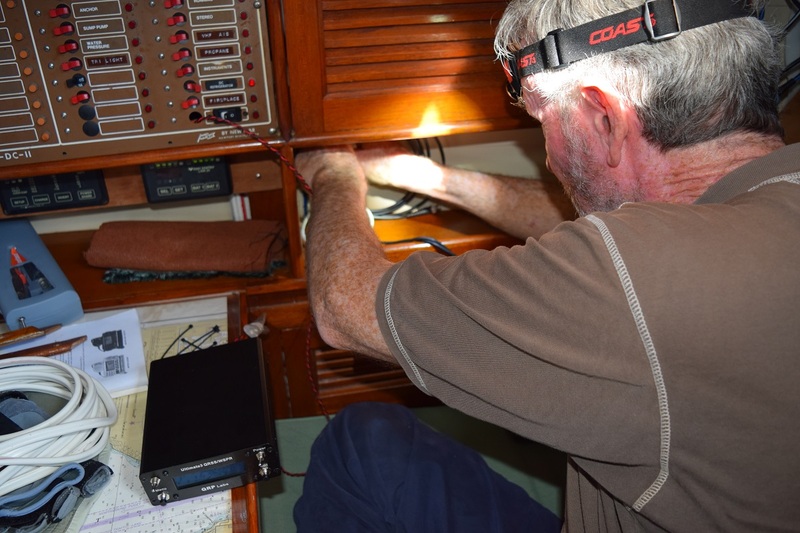 To conserve battery and prevent night time glare in the yacht's cabin, the spare front panel switch on the U3S case has been wired to turn on/off the U3S display back light. For the purposes of tracking "My Dream", the U3S has been configured to send the extended WSPR format which allows a more precise tracking position by sending a 6-charactor Maidenhead locator. 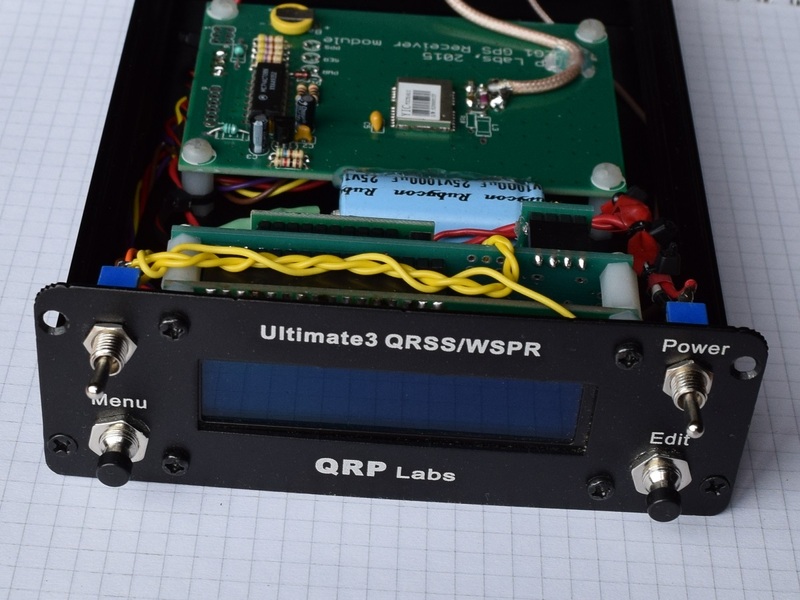 The WSPR transmission timing and interval is set by the QRP-Labs 'Frame Start' parameter to send 3 times per hour starting at minute :02 (Frame Start = 20 02). 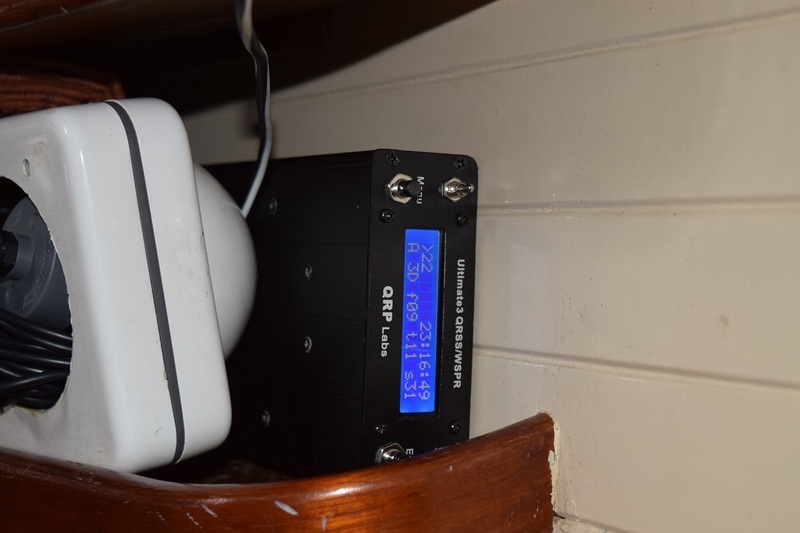 The U3S is also configured to send a short burst of Morse code "DE KI7UBD/MM" to confirm that Dan's station is maritime mobile. This transmission is on 10.139300 MHz so it is audible as a 600 Hz tone when the RX station is tuned to the 30m band WSPR 'dial frequency'. We wish Dan and crew all the best for a safe and successful crossing of the Pacific Ocean!